Londoners wishing for a tropical escape from the grey winter weather need look no further than Bompas & Parr’s newest immersive adventure, the Lost Lagoon. Created in conjunction with Captain Morgan, the ticketed event is now open, running until the 7th of April 2019. Globally recognised as one of the world’s leading experts in multi-sensory experience design, Bompas & Parr are renowned for their extraordinary immersive food-and-drink experiences; previous experiences include their ice-cream museum, Scoop. Each of Bompas & Parr’s immersive experience have an element of education, highlighting a food or drink that is often overlooked – and the Lost Lagoon could be its most ambitious project yet. Taking place beneath a shopping centre in Shepherd’s Bush – in a “secret, subterranean” location – the Lost Lagoon has been described as a “delicious journey of discovery”, and is inspired by the world’s most famous buccaneer, Captain Henry Morgan. The Lost Lagoon is an immersive theatrical production that asks guests to become buccaneers themselves for the duration of the event, and features a man-made lake built over 4,000 square feet. 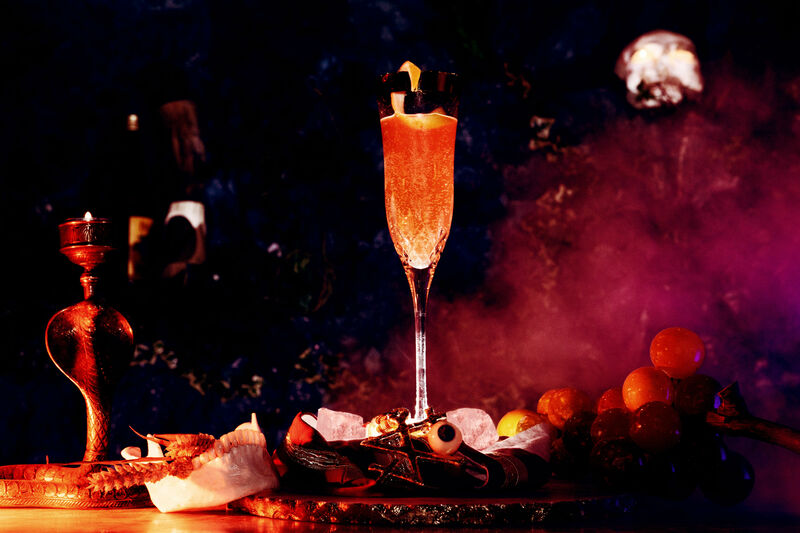 Bompas & Parr have designed the event to highlight one of the oldest mixed drinks categories in the world: punch, which was spread through maritime traditions including naval rum rationing. Lost Lagoon will see guests navigating the man-made lake by boat, traversing the water – and its very own weather system, created by wind and rain machines – to explore a series of islands. On each islands, visitors will face challenges and answer questions to collect the various ingredients required to make rum-based punches, and uncover fragments of the Captain’s secret punch recipe. Once the hopeful buccaneers have gathered their ingredients and overcome each challenge, they will use their treasure map to find Captain Morgan’s hidden lair: a party island designed with a neo-tiki theme that reflects a “beach-meets-buccaneering” lifestyle. One they have reached the Captain’s island, guests will hand over their ingredients to watch their rum punch be created before their eyes. On the island there will also be a whirlpool cocktail bar run by the team at Scout, which will be serving an array of rum-based drinks to get buccaneers in the party mood; to complete the island festivities, there will also be beach-inspired food to buy, and urban-luau entertainment. “Expect a mix between your best desert island fantasy with punch quests and neo-tiki party vibes,” said Harry Parr, co-founder of Bompas & Parr. “This is set to be the most lavish experiential event for 2019 and our guests will help bring a party atmosphere and a bit of sunshine to gloomy London at the end of winter." Tickets are now available at lostlagoon.org.